Section B Welsh Ponies of exceptional quality. Wintermist Farm is a little pony breeding farm nestled among the orchards and vineyards of northeast Oregon. We keep only a few select broodmares, which are bred every two or three years to beautiful stallions chosen especially for them. Our ponies are much loved and receive individual attention daily. The ponies live outdoors year round and are hardy, easy keepers. 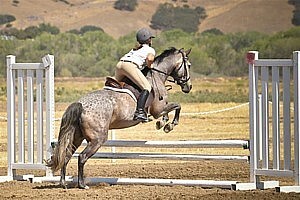 We strive to breed extraordinary ponies of excellent type, conformation, substance, movement, and temperament. Our goal is to produce attractive, sensible, and kind ponies suitable for breeding, performance, and enjoyment by owners of all ages. Since our facilities are limited, most of our ponies are sold as young stock. If you are searching for a pony to purchase, please review our sales list. Enjoy your visit to our website. Please contact us if you would like further information about our ponies or if you would like an appointment to visit the farm. Thank you for your interest!